We all know what satisfaction the knowledge of looking absolutely ravishing on some fine days brings. Summon more of such days with this White Gold Embrace Short Cotton Party Wear Kurta for Women presented by Snehal Creations, a fashion house for stylish ethnic wear. This attractive kurta design comprises of a white short kurta with gold motifs sprinkled all over it. 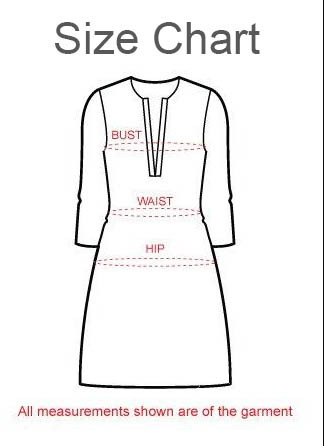 The neck panel of the tunic is a simple ban collar with white gold border running beautifully even on sleeve cuffs, base alike. Team it up fancifully with some blingy gold accessories to go!